We have an off-road test sites available in Wimbourne, Dorset and Liphook, Hampshire where we can demonstrate Tinger vehicles. Please contact us to arrange. If you wish to arrange a test drive and have a suitable area to conduct the testing we can come to you, contact us to discuss your location and requirements. Please note that there will be a charge for this service depending on the distance from our headquarters in West Sussex. We will be hosting demonstration days throughout the year. If you wish to be invited to the next one, please contact us and ask to be added to the invite list. We will be attending various shows and exhibitions throughout the year where you can come and talk to us and see Tinger vehicles in person. Please follow us on Facebook or Twitter or see our News & Events. Contact us directly to discuss your requirements or use the Tinger Configurator to specify your model and options and then fill in your contact details to request your configuration. We will then contact you with full details and price. 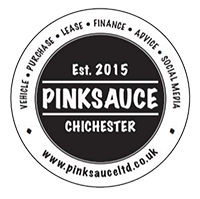 If you need to arrange leasing or finance for your Tinger purchase, please speak to our preferred local partner Pinksauce Leasing. Get access to the best deals and friendly advice.